Midwest Triathlon Coaching provides a variety of services besides on-going coaching. These services are available to coached and non-coached athletes on an "a la carte" basis. These are the most common requests but if you are looking for something else please contact us, we're happy to help if we can. A bonus for booking Coaching Services is that if you decide during or shortly after our meeting to become a Coached Athlete, the money you spend on the appointment will be applied toward the 1st Month's Coaching Fees. 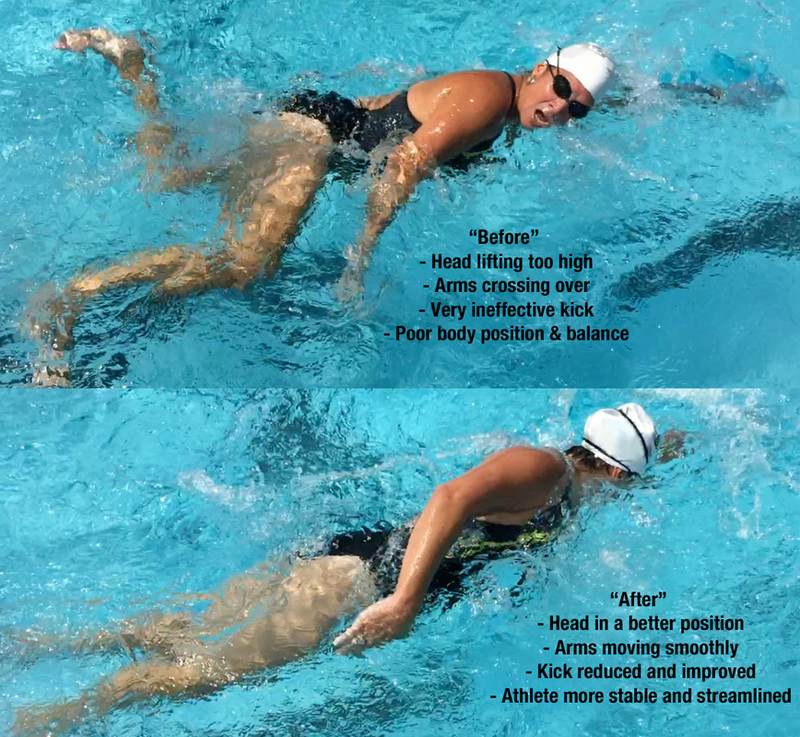 Spend an hour with the Coach to improve your swimming efficiency, endurance and speed. We will use video analysis (above and below the water) along with detailed in-pool instruction to help you make swimming a more relaxing, enjoyable part of the sport. Cost - $125* - includes "before and after" videos. *Typically done at the Roeland Park Aquatic Center but can meet at other pools as required. 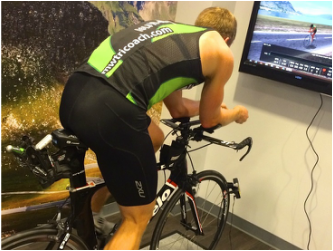 Done using a Computrainer and Heart Rate monitor, we will establish your Training Zones and provide you a full explanation of how hard you should be training to get maximum results while avoiding burnout and injury. Looking to "meet for coffee" to discuss your training plans and goals? Perhaps you are at a plateau and need some fresh ideas? Interested in triathlons but don't know where to start and need some knowledgeable advice on a variety of subjects? Meet the Coach for an hour to get your questions answered or discuss whatever triathlon subject you are interested in.